What are the annual cover limits on Health International Plans? What are the annual premiums for membership? Please complete a Health International application form and send it to marketing@healthintergrp.com or submit via your Health International agent. Approval by the Medical Director takes 24 to 72 hours. Download a New Application form here. Health International respectfully requests that all applicants provide FULL AND COMPLETE disclosure of their medical history when completing an Application Form. The Medical Director will decide what is or is not pertinent and will request further information if necessary. Non-Disclosure of Medical History may lead to non-payment of claims or cancellation of policy. All information provided by applicants is treated in the strictest confidence. Download a New Application Form here. When does my membership start and what is the period of cover? Once your application form has been approved by the Medical Director of Health International, this takes +/- 48 hours, membership commences on receipt of payment. Membership with Health International is for an indefinite period; however, members are required to complete an Annual Information Update Form every 12 months when paying their annual premium. Where do I need to live to be a member on Health International? 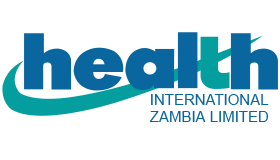 Residents of Botswana, D.R.C., Lesotho, Malawi, Mozambique, Namibia, R.S.A., Swaziland, Zambia and Zimbabwe are eligible for Health International Membership. Where am I covered on my Health International Membership Plan? You will be covered in your Southern Africa Country of Residence and for unlimited short-term trips (maximum 90 days per trip) into Sub-Saharan Africa. Sub-Saharan Africa means the Sub-Saharan African continent SOUTH of the 15 degree NORTH latitude. Do I need to extend my cover area when travelling abroad? YES. Health International Members need to purchase TRAVEL TOP-UP DAYS when exiting Sub-Saharan Africa for travel Worldwide. Is there a short-term cover available? Health International Members are able to add direct family members (aged 40 years and younger), i.e. direct family visiting or students returning home for vacations, on SHORT-TERM ACCIDENT and EMERGENCY ONLY cover. Full details of requirements and costs are available from your Health International Agent or Regional Office. Will a Member ever be refused continuation of cover if a claim has occurred? NO. Health International will only ever decline membership due to a fraudulent claim or non-disclosure of material facts. What documents will I receive from Health International? Membership card/s, Certificate/s of Insurance , Z-Folder (reflecting additional Emergency Numbers for the Region and World-Wide), 24hr Case Management Card and Emergency Numbers, Membership Guide and Health International Car Stickers reflecting Regional emergency numbers. Does everyone in the same family have to have the same level of cover? Family Members under the age of 18 are required to be on the same level of cover as the principal member. When can I change my membership plan? Once a membership has been finalised and cover has commenced no change is allowed, however at annual update / renewal a member may change plan without complications or waiting periods. In the case where a Member has an ongoing claim a change of plan will not be permitted until the claim has been finalised and closed. Please Note: Should a Member upgrade from the Emerald Plan to the Diamond Plan the 12 month prior to conception waiting period for the Pregnancy and Childbirth benefit will still apply. Do I need to carry my Membership Card with me at all times? YES, Health International members are encouraged to carry their cards on them at all times. Further, it is recommended that emergency numbers be saved in cell phones. Also important, is to advise family, friends and staff that you are on Health International and make them aware of the relevant Emergency Contact Numbers. What do I do if my card is stolen or lost? The member needs to advise their Health International Agent or their Regional Head Office, in writing or by electronic communications and a new card will be issued. Full cover is effective immediately. However, should there be a specific waiting period applicable to a Member this will be stated on his / her Certificate of Insurance. Please Note: Emergencies are in no way affected by the above Mandatory Waiting Periods. PREGNANCY AND CHILDBIRTH – (Waiting Period of 12 MONTHS PRIOR TO CONCEPTION) Diamond plan ONLY. Please Note: Should a Member upgrade from the Emerald Plan to the Diamond Plan, the 12 month waiting period prior to conception for the Pregnancy and Childbirth Benefit will still apply. A pre-existing condition is an illness, injury or related medical condition, which you or any dependants have experienced symptoms of or received treatment, medication and advice or have had investigations for. Any illness or condition occurring between the time of signing and submitting your application to us may also be considered a pre-existing medical condition. Some pre-existing conditions may be covered, at the discretion of the Medical Director, with either a waiting period or payment of a loading. What is a medical or occupational loading? A loading is a percentage of the annual premium for the relevant applicant which is agreed by the Underwriters when a condition/occupation has been assessed. On payment of the additional premium by the member, the condition / occupation is then covered and not excluded. Are there any occupations that are not eligible to take out cover? Extremely hazardous occupations such as, but not limited to, Oil Rig Deep Sea Divers or aeronautics are not covered on Health International Membership Plans. A chronic condition is a disease, illness or injury that has at least one of the following characteristics: – It has no known cure and continues indefinitely, it reoccurs, it is permanent, it may require YOU to be specifically trained or rehabilitated, needs long-term monitoring, consultations, check-ups examinations or tests. If I develop a Chronic Condition whilst on a Health International membership plan will it be covered? Should a member develop a Chronic Condition whilst a Member of Health International, the investigations and treatment for the condition will be covered to the point where the condition is stabilised and the Member is on routine medications, tests etc. The related cost of tests, in-hospital procedures, and any acute on chronic episodes will be covered under the Chronic Lifetime Benefit. Routine check-up’s/consultations, drugs and dressings are not covered under the Chronic Lifetime Benefit. Chronic Lifetime Benefits are best managed in conjunction with the Claims Department. YES. Applicable to Members on the Diamond Plan ONLY, a Member will be covered for PREGNANCY AND CHILDBIRTH for an amount of USD5,000 any one Member in any one Membership Year. Members are required to notify Health International of the pregnancy PRIOR to the end of the 2nd trimester. Not covered if conception is within 12 months from the date of new membership or from date of upgrade to the Diamond Membership Plan from the Emerald Plan. Does Health International offer Newborn cover? YES. Members on the Diamond Plan have the NEWBORN BENEFIT cover of USD30,000 (Per Birth). The Newborn Benefit runs in conjunction with the Pregnancy and Childbirth Benefit and is only applicable if conception followed the 12 month period from date of new membership or upgrade to the Diamond Plan. The Newborn Benefit covers the IN-PATIENT treatment of acute illness which presents symptoms at birth or which manifests within 14 days following birth. To include hospital accommodation costs for the maternal parent while the baby receives treatment. Members are required to PRE-REGISTER their expected baby for NEWBORN BENEFIT by making payment of a full annual premium for the baby PRIOR to the birth and submitting a completed Addition of Baby Form. Parents of the newborn are also required to provide Health International with a Baby Wellness letter from the Specialist / Doctor following the birth. Is treatment for HIV / AIDS covered? Yes, the HIV/AIDS Benefit covers IN-PATIENT costs which arise from or are in any way related to HIV and/or HIV related illness, including AIDS or AIDS Related Complex Syndrome and/or any mutant derivative or variation thereof. A 24 month waiting period applies. Will Health International cover me if I was diagnosed with Cancer? YES. Health International Members are covered for treatment aimed to cure cancer including IN-PATIENT, OUTPATIENT or DAY CASES from the time of diagnoses including all tests, drugs, chemotherapy and radiotherapy for as long as is medically necessary, including any secondaries or reoccurrences of primary cancers. When do I need to obtain pre-authorisation from Health International? It is MANDATORY for Health International Members to seek pre-authorisation for any pre-planned Specialist referred treatments/procedures – ELECTIVES – by contacting your Health International Regional Office, or via your Agent. Please note you will be required to provide a referral letter for the Claims Department to pre-authorise your treatment / procedure. In the event of an Emergency, Health International needs to be advised of the accident or illness as soon as possible or at the latest within 72 hours of the event. Will my Plan cover procedures / treatments in R.S.A.? YES, Health International Members are covered for medical treatment / procedures in R.S.A. Members are required to make contact with The Claims Department for pre-authorisation and details on the R.S.A. protocols PRIOR to commencing consultations, treatments etc. Does Health International cover organ transplants? The costs related to harvesting a donor organ are not covered. Are sporting and recreational activities covered? Participation in normal school / university / club sports as well as participation in Polo and Polocrosse is covered on the Health International Membership Plans. i.e. Racing of any kind (other than on foot); Off-Road Biking, Skydiving; Bungee Jumping; Scuba Diving (unless qualified and diving as an open water diver); Mountain Climbing; Micro lighting; Paragliding; Quad Biking; Gliding etc. – this list is a guideline. Please refer to the Terms and Conditions or preferably, discuss with your Agent or Regional Head Office. BMX / Carting / Moto-X. / Enduro / Downhill Mountain Bike Riding– please discuss with your Agent or The Regional Office. YES, Health International Plans cover general winter sports, however any dangerous sports are not included for example; off piste virgin snow skiing or snowboarding. Members are required to purchase Travel Top-Up Days for cover abroad. General dentistry and orthodontic treatments are NOT covered by Health International. However, Health International will cover treatment for the immediate relief of dental pain up to a maximum of USD250 per member, per annum. It should be noted that dental treatment relating to accidental damage to teeth is fully covered. Extraction of impacted wisdom teeth is also covered, please seek pre-authorisation. Will my visits to the G.P. / Dentist / Optician be covered? NO. Health International Plans do not cover routine G.P visits, Dentistry, Optical or Routine Annual Check Up visits. These claims should be submitted to your local Medical Aid. Can I cancel my membership plan and get a refund? YES, you may cancel your Membership by notifying either the Regional Head Office or your Health International Agent, in writing. A refund will be calculated, less an administrative handling fee and provided no claims have been lodged against your policy during the current membership year. Who do I notify if I change any of my contact details? Members need to advise the Regional Office or their Health International Agent in writing by letter, telephonically or electronic communication of any change in their contact details. Am I covered if I get injured In a Terrorist incident? In the event that you unknowingly find yourself in the wrong place at the wrong time, your policy will cover you. However, if you knowingly put yourself at risk you will not be covered, i.e. political riots. Are Wellness Check-Ups Covered on the Health International Plans? If a condition is diagnosed during a Wellness check that leads to further investigations, Health International, at the discretion of the Medical Director, will refund to the member the cost of the Wellness check, up to maximum of USD500 per membership year. Specialist referred treatment following a Wellness Check will be covered and must be pre-authorised. Will My Health International Plan Cover The Cost of Airfares? Health International Plans do NOT generally cover the cost of Member’s airfares for ELECTIVE treatment/procedures. However, all Emergency Evacuations are fully covered as well as repatriation to country of residence post treatment. Also covered, at the discretion of the Medical Director, is the Member’s return airfare to Johannesburg for MEDICALLY NECESSARY treatment. The costs of Member’s airfares for FOLLOW-UP visits to Specialists in South Africa are NOT covered.